I’m so excited to share this with you today! 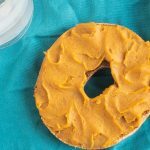 My Peanut Butter Sweet Potato Spread is the perfect way to add vegetables to breakfast (or anytime!) without hearing your family complain. The sweet potato is like the stage crew in this spread. No one really knows it’s there, but the show won’t go on without it! It adds some sweetness, fiber, and a whole lot of nutrition. Notably, sweet potatoes are a great source of potassium – something most of us don’t get enough of, and it’s essential for a healthy heart! 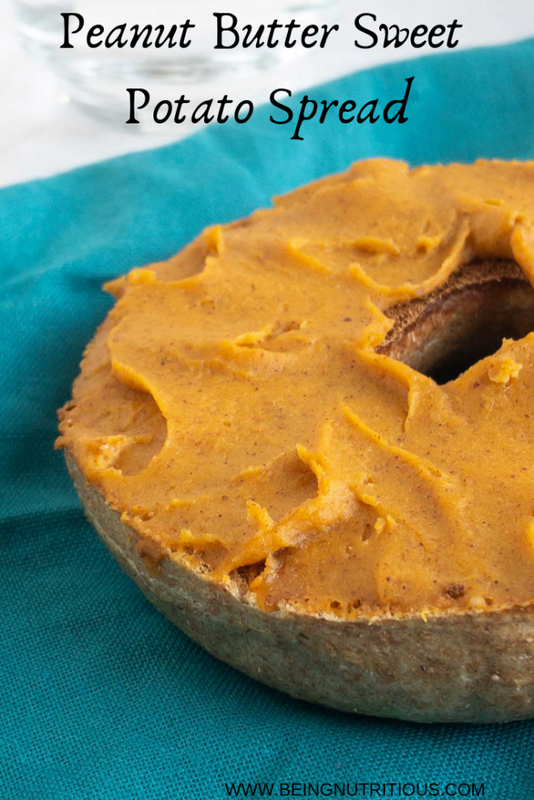 The sweet potato also makes the peanut butter a bit less sticky, so you can spread more on! Speaking of spreading more on, sweet potatoes are lower in calories, so you can bump the portion size up a bit. Who doesn’t love that?! For peanut butter, I recommend a natural peanut butter, with minimal ingredients. Ideally it would only contain peanuts and maybe salt. It’s the kind that usually needs to be stirred. I know…one more thing to do. But once you have it stirred, store it in the refrigerator and it won’t separate again. An easy way to get natural peanut butter stirred is to use your food processor. Dump it all in, and turn it on high until it’s all smooth. Much less messy too! I always spill the oil all over the counter when I try to stir it in the jar! And let’s talk about peanut butter nutrition for a second. We do some pretty unhealthy things to peanut butter (I’m looking at you Reese’s!). And yes it’s high in calories, so portion size is key. But at it’s core, peanut butter is great for your health. It’s so high in fat! I hear that a lot. It is true – a serving of peanut butter has about 16 grams of fat. Half of that, however, is monounsaturated fat. That’s the healthy kind that’s so good for your heart! Speaking of heart health, peanut butter also has a good amount of magnesium and some potassium to keep you on beat. The fiber and protein will help keep you satisfied longer, too. 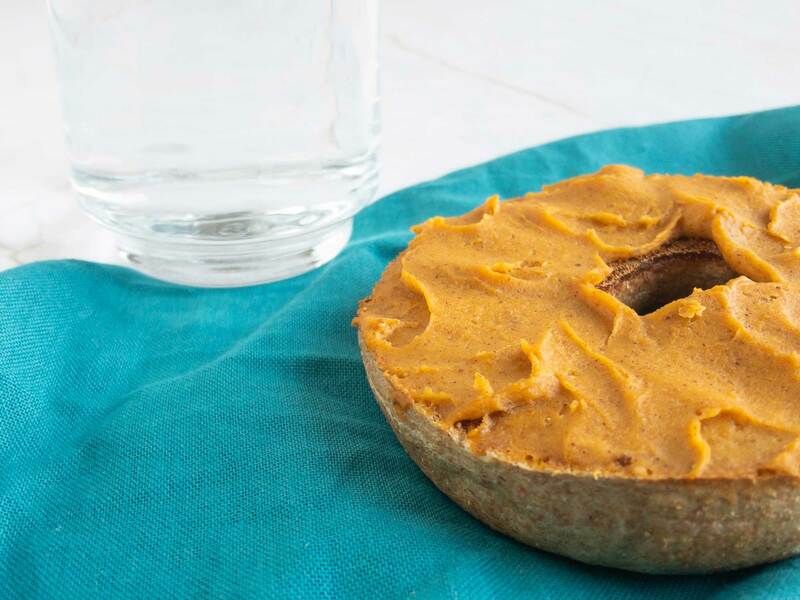 Cinnamon and sweet potatoes are a natural combo, and it comes through in the background of the spread that really makes it just perfect – plus antioxidant power! Try it on toast, bagels, or in oatmeal. This will stay good in your fridge for about 5-7 days – if you have leftovers! A fun way to incorporate vegetables into breakfast or anytime! Add all ingredients to a food processor or blender. Blend on high speed until creamy, scraping down the sides as needed.